This email shows the right steps to install and register the product. Please read it if you have issues. 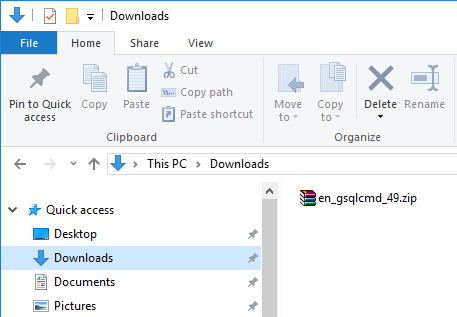 When you download the file, please, open the Downloads folder. 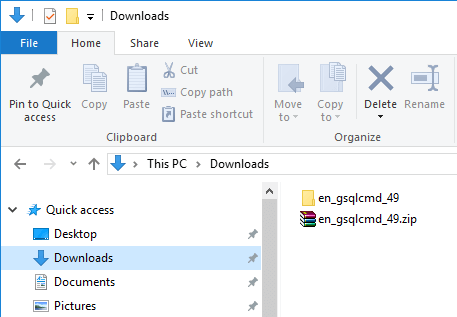 Open the folder like en_gsqlcmd_49 and then open the gsqlcmd folder. 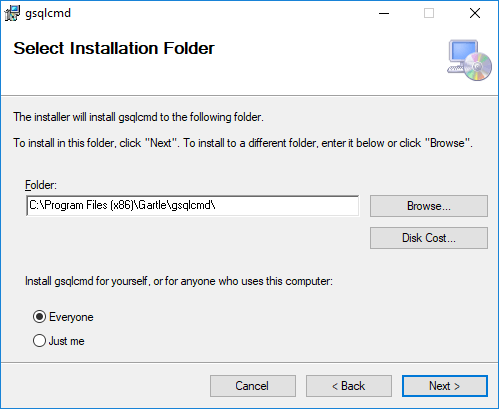 To install the product, run setup.exe and follow wizard instructions. Usually, just click Next. If you have no administrator privileges, choose Just me. When the wizard finishes, it launches the registration wizard. 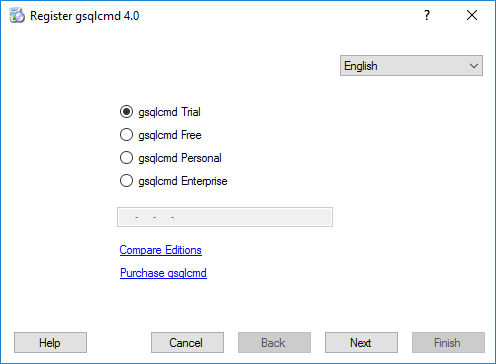 If you install the product for the first time, you may choose the trial version. Otherwise, you may register gsqlcmd for free or register the purchased version. Please follow wizard steps (if you see the finish step, just click Back first). 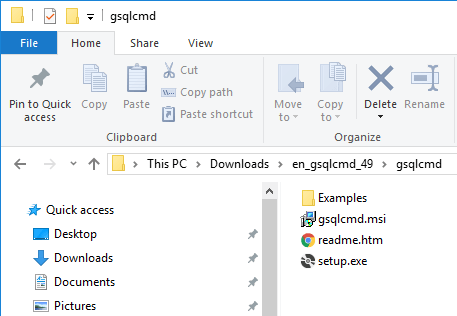 Let's return to the gsqlcmd folder. 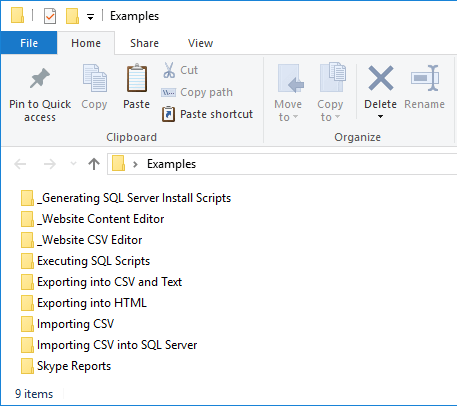 Please cut the Examples folder and paste it to a folder where you will find it later. We will discuss these examples in the Welcome educational series. 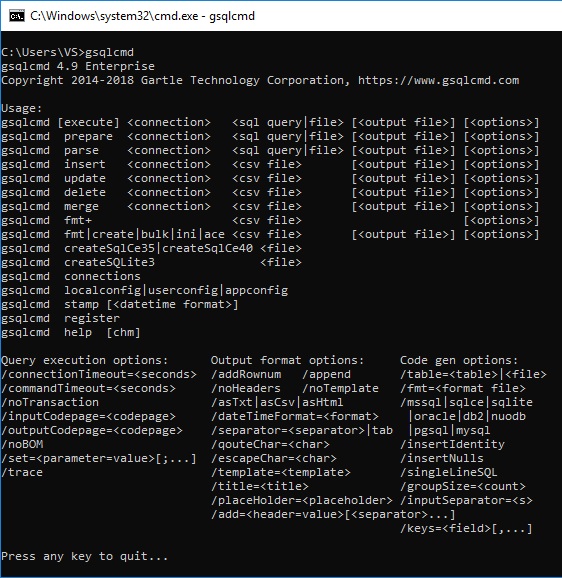 If you see it, then you have installed gsqlcmd successfully. Otherwise, try to reboot your computer. If this does not help, please, contact us. Hope, you have successfully installed gsqlcmd. Today you will get the next email that shows first tips.